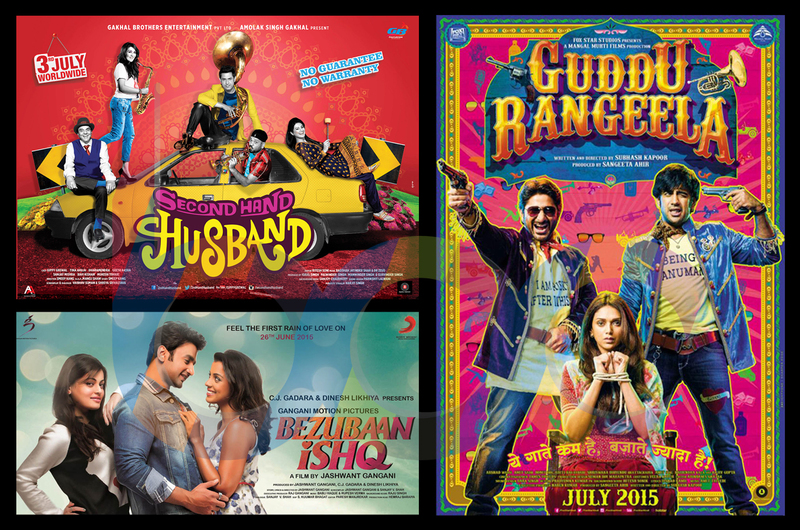 The latest drama movie, Guddu Rangeela has been released this Friday on 3rd July. The movie has started very low at box office, made only 1.51 crore on its first day. It was expected to do better than this but audience as well as critics are not looking in complete favor of the movie. Movie is featuring Arshad Warsi & Ronit Roy, who are known for their acting. They both are the reason which attracting some audience to theater otherwise the movie could not even stand straight at box office. Yesterday was its second day at box office and being Saturday more audience came to watch the movie bit still the business is not so impressive. It has made the collection of around 1.96 crore on its first Saturday in India. Sunday is expected to result in better than this. Gippy Grewal starrer Second Hand Husband was having good hype among audience before release. But unfortunately the movie is not getting much response at box office. The movie is getting mixed response from audience. Critics have also rated the movie as average but appreciated the performance of actor Gippy Grewal. This the first movie of Gippy in Bollywood, so his fans are very much excited and showing thumbs up to the movie. But at box office, movie has started very low, made only 1.35 crore* as its first day collection in India. Yesterday was its second day and being Saturday it resulted in little bit better. Yesterday it has minted around 1.50 crore* as its second day collection. On Sunday the movie is expected to collect more than last 2 days. The romantic drama movie Bezubaan Ishq, released this Friday is getting almost none at box office. It has started at very poor note on its first day. Audience is not looking interested towards it, critics also rated it as skip-able. As expected the movie is not able to recover it production cost. On its first day, it collected only 12 lacs* with the overall occupancy of only 5-10%. Even Saturday also, has not resulted in good for the movie. On its second day it has managed to collect only 12.5 lacs*. To be clear, Bezubaan Ishq is a complete washout at box office.